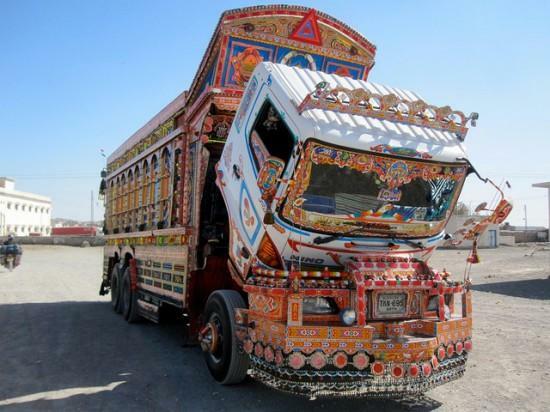 If you travel a lot, chances are you have seen trucks with painting and various art on them. These are part of the very famous and very well known truck art. 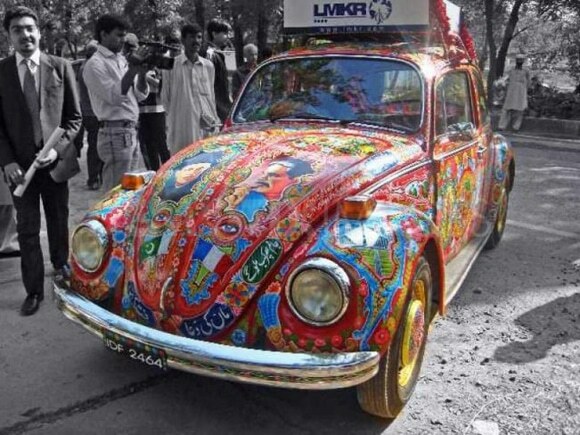 Truck art has been a very well homegrown art form in Pakistan but it is now also being recognized around the world. 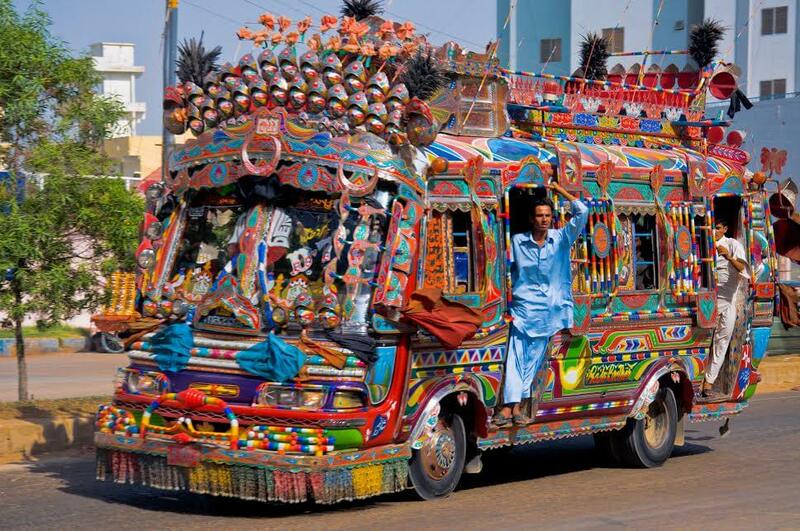 In Pakistan, it is not strictly limited to trucks now and also found on lorries, tractors and even some rickshaws. Truck art dates back to the 1920’s. It is not only limited to trucks. Became known around the world in the late 1970’s. 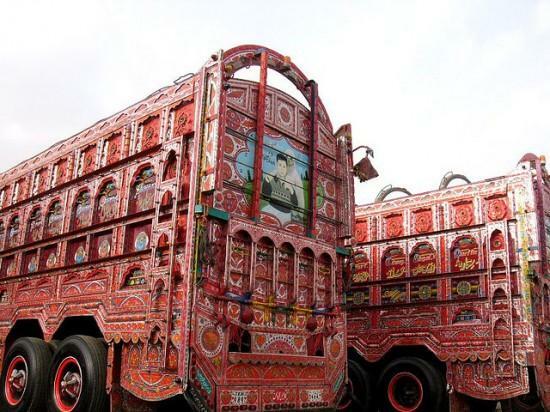 In the late 1980’s, the government of Pakistan started organizing truck art exhibitions. 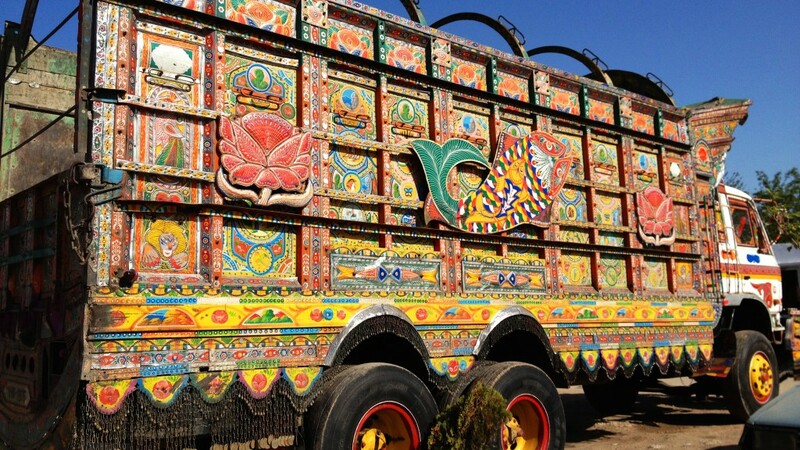 Karachi is a major city center for truck art. 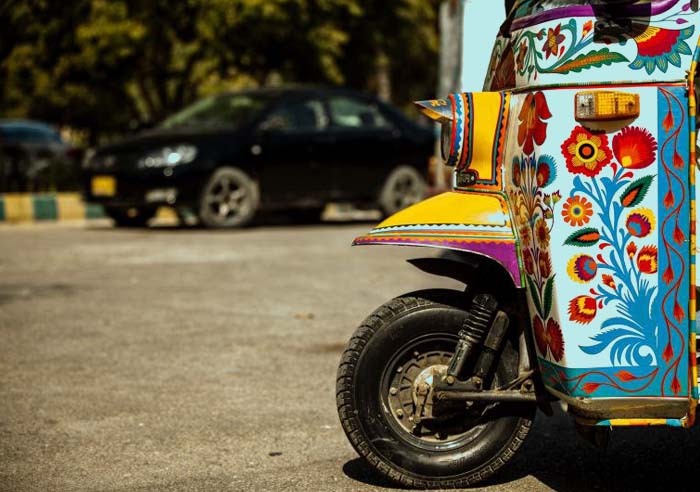 There are more than 50,000 open-air workshops in Karachi alone. 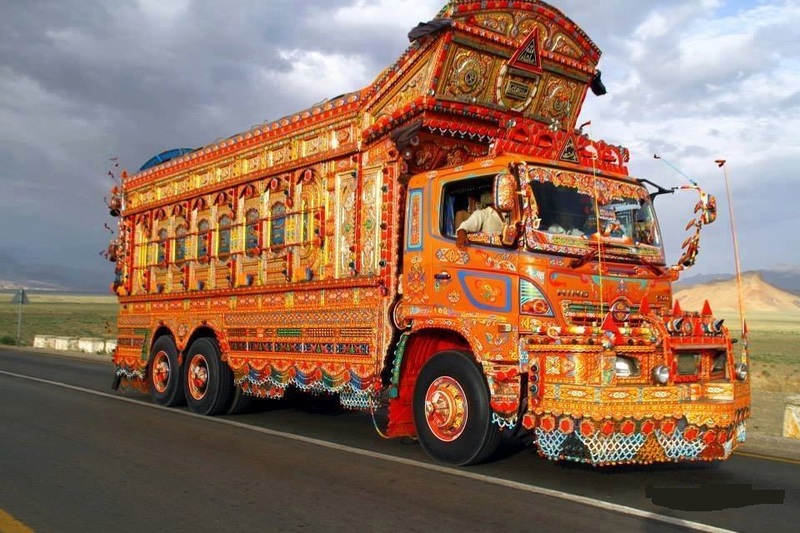 Fashion companies such as Dolce & Gabbana are known to use truck art in their fashion lines! 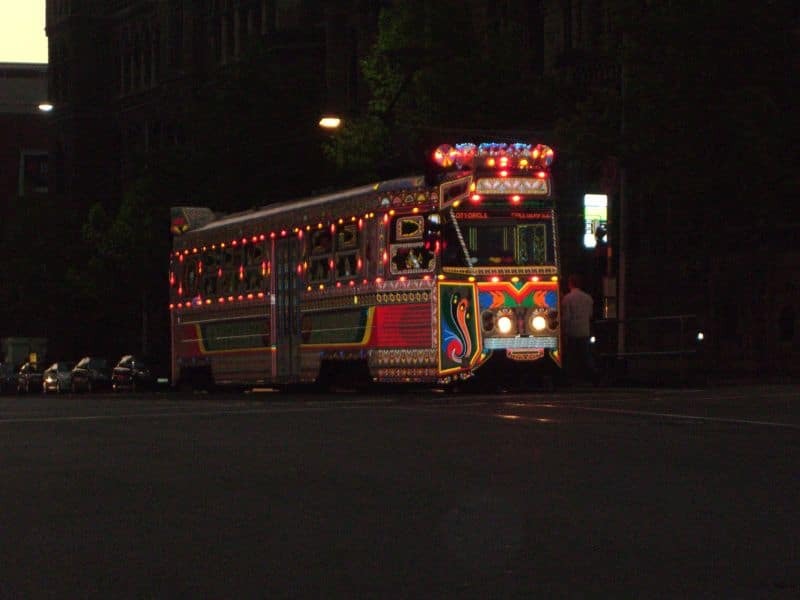 They are also known as Jingle Trucks, a name given by US military troops. 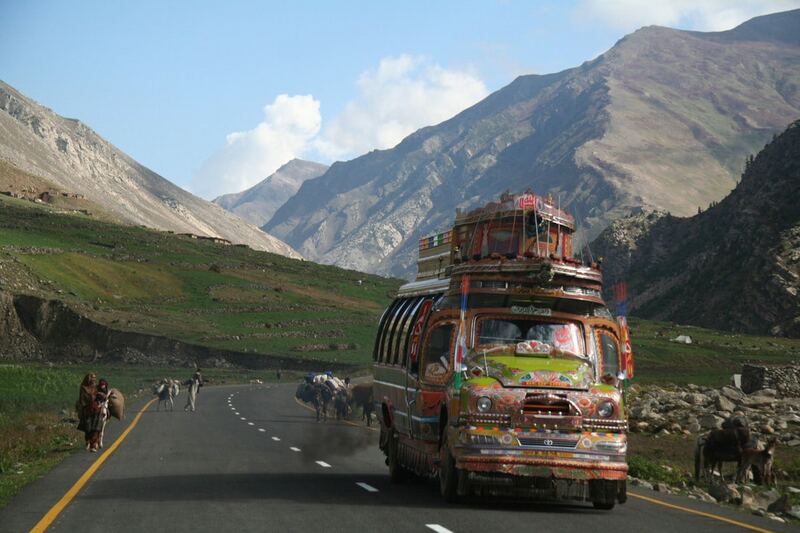 It is now not only limited to trucks, but is embedded in the traditional and cultural landscape of Pakistan. These trucks just look like decorated college girls in my neighborhood. Wish I could ride them. What????? Do you also want to ride them? Careful. They have lots of curves. Roads I mean. Tu lang jaa,, saadhi khair ay..